Location: Situated on S side of Gwenffrwd valley on road from Rhandirmwyn to Cwrtycadno, some 1.5 km NW of Rhandirmwyn Bridge. 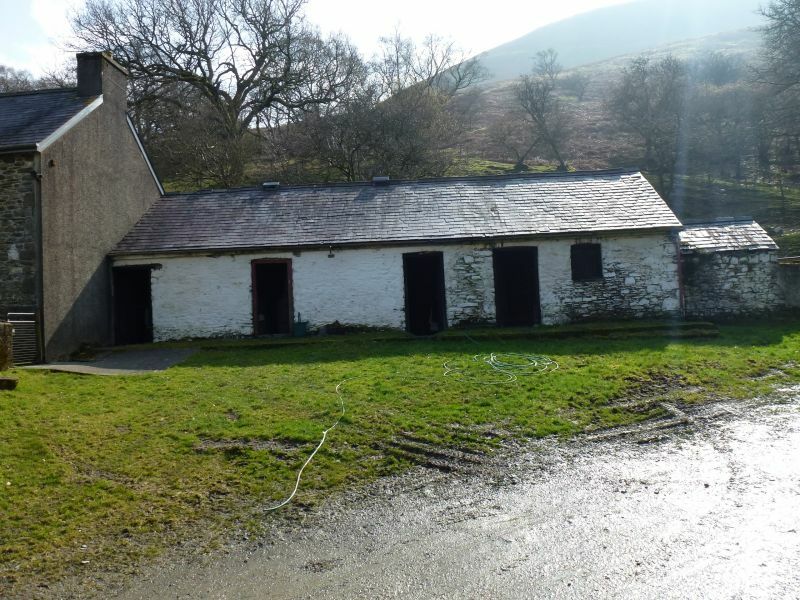 Mid C19 farmhouse typical of steep upland valleys of northern part of Cilycwm C area. A house is marked on site on 1845 Tithe Map, owned by the Earl of Cawdor and occupied by David Jones, with 62 acres. This house could have been rebuilt slightly later. Rubble stone with slate roof, and roughcast end wall stacks. Two-storey, three-window N front, offset to right. Hornless 12-pane sashes with 4-panel door and margin-glazed overlight. Stone voussoirs. Rendered W end wall, rubble stone E end. Cowshed attached to W is whitewashed with slate roof, four doors and one window with cambered stone-voussoir heads. Included as a well preserved and representative example of the farmhouses of the small upland farms of this valley and the next valley to N.
Situated on S side of Gwenffrwd valley on road from Rhandirmwyn to Cwrtycadno, some 1.5 km NW of Rhandirmwyn Bridge.